Having international experience and knowing people from different backgrounds had always been my dream since high school. 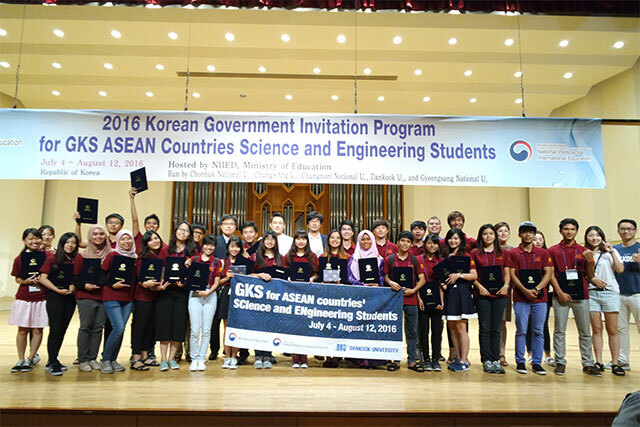 Those were the reasons why I was very excited when I knew I was selected to join GKS for ASEAN countries’ SCIence and ENgineering Students 2016 at Dankook University, South Korea. Aside from myself, there are also 4 of my friends from BINUS selected for this program: Cecilia Arta, Jennie Gunawan, Laura Kurniawan, and Evelyn Kharisma. There were 24 students selected in total who came from Indonesia, Thailand, Myanmar, Malaysia, Vietnam, Brunei, and Cambodia. We were very happy to attend the program, and even happier as it was fully-funded by the Korean Government (NIIED Ministry of Education) and Dankook University. Thank you so much! Our first week started with an orientation about Dankook University, the program, Korean Language class, and also Seoul city trips in which we visited N Seoul Tower, Myeong Dong, National Museum of Korea, ETRI and so on. On the orientation, we found out that other Korean universities were also part of the program where they had their own project with different themes. 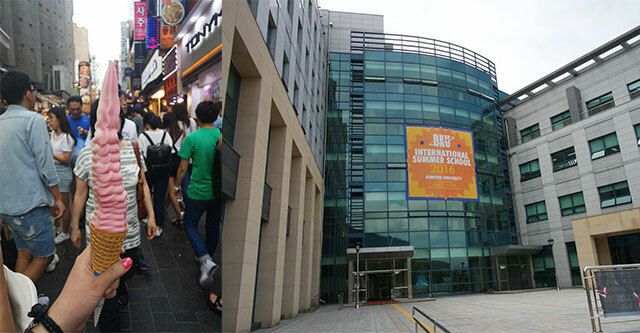 For Dankook University, it was Mobile System Engineering. During the program, we must finish a research project, and was given the opportunity to join a movie clip contest. Our second to fifth weeks were the busiest. We had classes every Monday to Thursday, 9 AM to 6 PM, consisting of 2 courses and 1 lab. The courses were Fundamental of Mobile Computing and Introduction to Mobile Technology and Trends. In the lab, we learned how to operate the Raspberry Pi and use it on our research project. It was such a new challenging experience for me as I had never dealt with hardwares before! 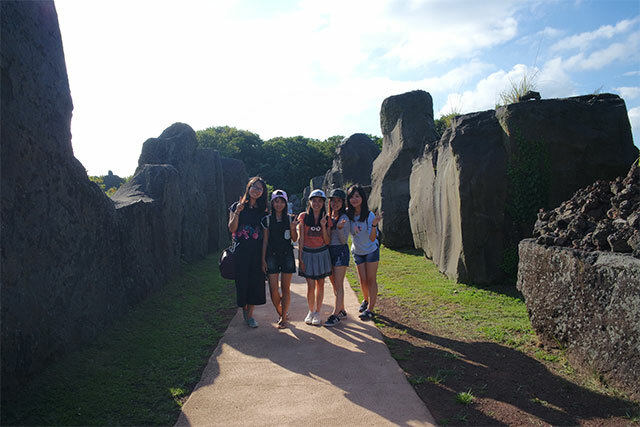 On the weekends, we usually had cultural activities such as Temple Stay, Mud Festival, DMZ Tour, Everland trip, etc. We also have some free time at Sundays, and we went to many places like Han River, Korean Palaces, Korean Folk Village and many more. I think we visited around 80% of the tourism places in Seoul! It was very fun! Being able to join this program is one of the best things that ever happened in my life. I came home with new experiences, knowledge, and the most important thing – friends. I never knew that these 6 weeks can create such a strong bond between all the participants. I still remember the moment we all cried so hard at the airport, saying goodbye to each other, because we knew that it would be long until the day we would meet again. But I’m sure that day will come! 5 BINUS Girls Representing Indonesia!